Sensei Usui taught his system (Reiki) as a path of self-healing and self-development, the ability to heal others was not focused on, it was a side effect! Reiki was taught rather like Tai chi. The student turned up and learnt how to experience the energy, then went home and practised; rather than receiving a 'attunement' to connect them to the energy on a two day course. They would receive many blessings i.e. many empowerments and this is what we try to emulate in our Reiki courses, using many of Usui original ways of teaching. Hence the homework before you attend the practical day, this gives you a good grounding in the history of Reiki and also getting to grips with the energy routine. During the practical day you are connected to the universal energy. This is a permanent connection. Once you are connected, you will never lose the ability to channel this healing energy. You can call on it any time to give yourself regular self healing treatments and also treat family and friends which is extremely rewarding. I believe that receiving the gift of Reiki is a life changing experience, these courses are a wonderful option. Many people find peace, tranquillity and a new direction in life. Some are aware of a great release after their course this may be an emotional release or perhaps a feeling of a weight being lifted off their shoulders, while some students have found a new confidence along with an energy boost from being connected to the energy. For all students it is the beginning of a new period in their lives, finding the strength to shrug off that which is no longer needed, and the clarity to make decisions and move forward. The best way to learn Reiki is by doing it! This is why the Reiki Evolution method of teaching is for everyone. Manuals and CDs are sent out prior to the practical day course, for you to carry out a few hours of pre-course study at all levels. This is to ensure that you have a good understanding of the basic principles, and that you don't have to sit and listen to me talk about the history of Reiki on the day! I do go over the main points briefly and there is an opportunity for you to ask any questions, but for most of the course you will be receiving your empowerments and learning how to work with the energy yourself. For those students who have started their training with a different Reiki lineage, you need to work through the course materials. These are provided at a minimal cost, if you are planning to study Reiki 2 with me after doing your initial training elsewhere you will need to familiarise yourself with the Reiki I materials first. If you wish to join my Reiki Master Teacher training course from a different lineage, you will need to familiarise yourself with the Reiki I and level 2 materials. Please enquire for further details. My classes are small, a maximum of 4 students are taught in my home, there is plenty of time to discuss your experiences with the group, and every member of the group receives individual attention throughout the day. However as Reiki is experiential you may find that you have more questions or stories to share with other students and that is where my ongoing support is valuable. I can be contacted by phone or email, you will receive a Friday email and a quarterly newsletter plus I hold a monthly Healing Share. You can join the Healing Share before becoming a student its a great place to ask questions, feel the energy and talk to other students. Reiki friends from other lineages are welcome as are your friends and family who may be interested. All receive a warm welcome. These workshops are practical; you will practice the meditations and techniques, give and receive a full Reiki treatment by the end of the day. No previous healing experience is required. Please book your course at least two weeks in advance to allow time for you to work with your study pack. 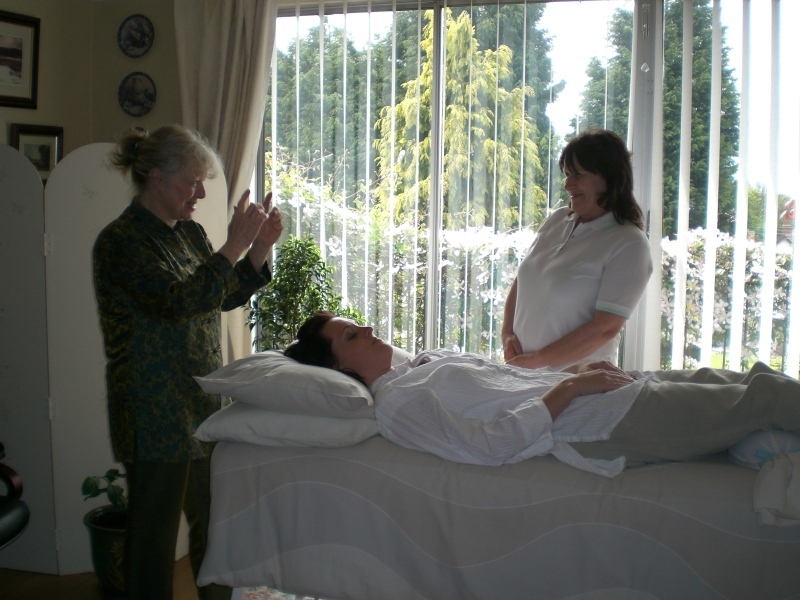 This is a practitioner course, which prepares you to practice Reiki professionally. Taking a decision to move onto the Master course gives a deeper understanding of Reiki, of the energy, your own healing journey with Reiki and how to use the energy when doing healing work with others. 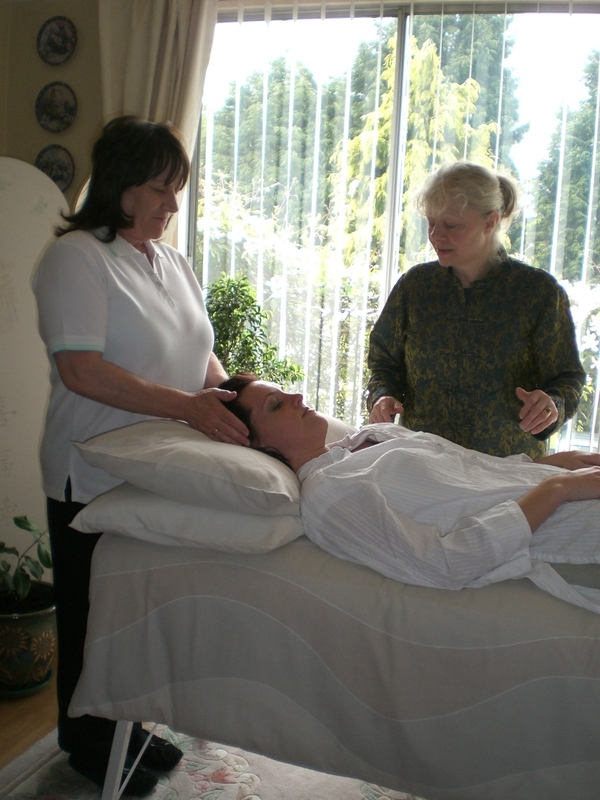 This course is suited to those who have been working regularly with Reiki and wish to progress. 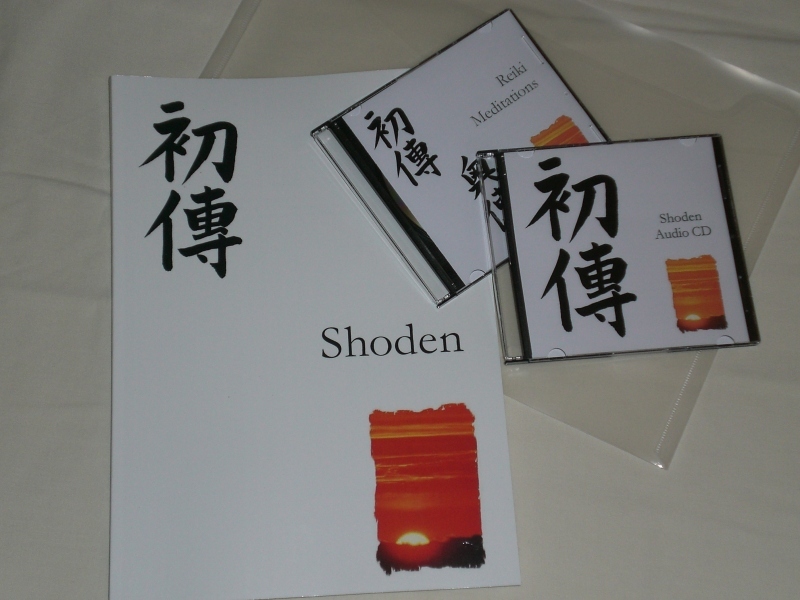 The workshops are intensive but practical and the materials (comprehensive manual, 2 CDs and a DVD) cover a wide range of knowledge and techniques, both Western and Japanese. This intensive/practical workshop takes place over a week-end, (this is flexible~ can be over two week-ends i.e. 2 Saturdays or 2 Sundays) you will need to book your place on the course at least two months in advance to get to grips with the preparation work.